By their nature, racing games are perfect system showcases. The rivalry between Saturn and PlayStation launch titles Daytona USA and Ridge Racer in particular had the ‘90s gaming press frothing with excitement. Even before that Nintendo’s F-Zero impressed just about everyone who laid eyes on it. Hot on the heels of F-Zero came the legendary Super Mario Kart – a game that made anything on the Mega Drive look positively bland in comparison. Mario Kart DS and Mario Kart 7 showed that the respective handhelds were no slouch when it came to throwing around polygons, while Mario Kart Wii proved that the console was more than just a GameCube in a slimmer case. This brings us nicely onto Mario Kart 8. To say it looks sensational would be an understatement. A genuine treat for the eyes, there’s no way somebody could say the Wii U is underpowered after catching even the slightest glimpse of it in motion. Colourful and vibrant throughout, the frame rate doesn’t falter even with twelve beautifully animated characters on the track at once. The MKTV replays look better still, removing the on-screen clutter while adding a subtle filter. Rather than refine the series or take it back to basics, Mario Kart 8 builds upon its 3DS predecessor with a few notable tweaks here and there. That means the hang gliding and underwater sections are back for a second time, whilst the track selection is a mixture of new and old. Love them or hate them, bikes make a return as well. Cornering while on two wheels is trickier than before, but the pay-off is made slightly more rewarding because of it. 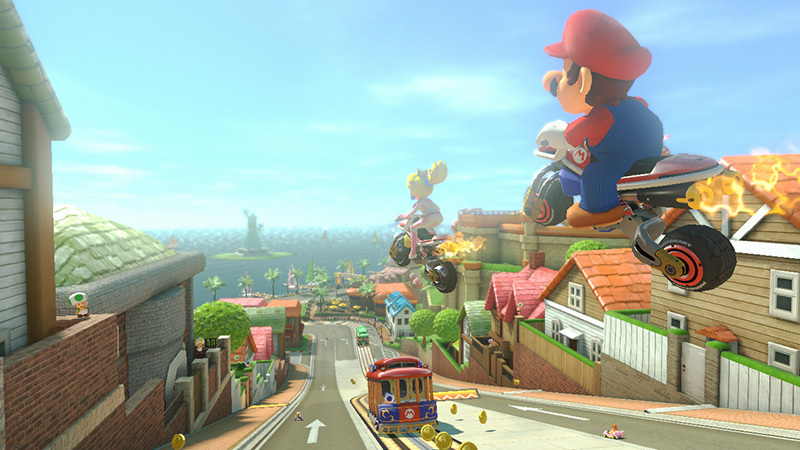 The majority of karts and bikes are locked to begin with, becoming available once enough coins have been collected. Half the characters are locked at the start too, including all six of the Koopa siblings and a few surprise faces. 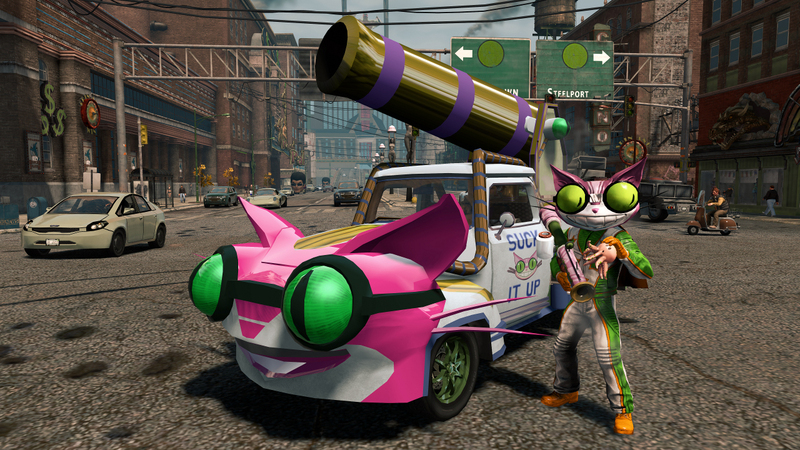 New vehicle parts unlock at such a steady rate that almost every victory earns something new, even if it is just a glider with a different motif. Innovation comes not just from the aforementioned MKTV replays – which can be edited and shared online – but also from new anti-gravity strips that send Mario and chums upside down and vertically along walls. Handling becomes slightly slippery, allowing for some big power-slides… which of course provide those all-important speed boosts. Even the revamped retro tracks have been freshened up with an anti-grav strip or two, along with the occasional underwater section. It pleases us greatly to learn that sticker albums are still around in this day and age of handheld consoles and mobile phones that do everything. Simply owning a sticker album allowed instant social standing in the playground; long time rivalries could put aside in favour of bagging a few stickers that you and your rival may need. I still crack a smile when recalling the time somebody from a higher year approached me and abruptly asked “Do you have Sagat’s legs?” It took me a couple of seconds to realise that he was referring to the Street Fighter II sticker album, rather than making a threat. 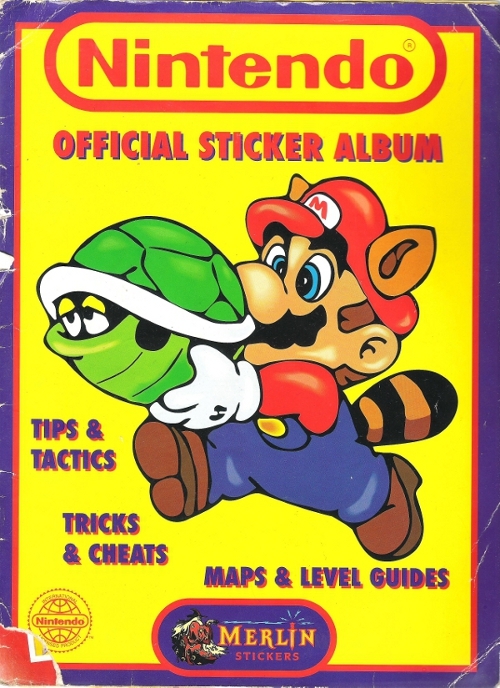 Today we’re looking back at Merlin’s Official Nintendo Sticker Album from 1992. It was the only album from my youth that I finished, albeit by cheating slightly and sending off for those elusive final few stickers. It’s amazing to think I considered the 6p asking price per sticker a little steep at the time. Packs of 6 stickers retailed for 20p while the album itself cost just 50p. 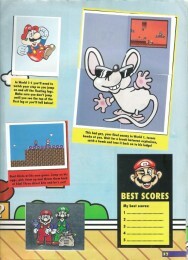 It may have also been given away free with one of the gaming magazines or with a red-top newspaper at some stage. Good old freebie marketing, there. Although released in the same year that the SNES made its European debut, Nintendo’s 16-bit console wasn’t referenced at all. Super Mario Bros 3. was the newest game featured, while the few Game Boy games present were early launch titles such as Super Mario Land, Tetris, Tennis and Alleyway. 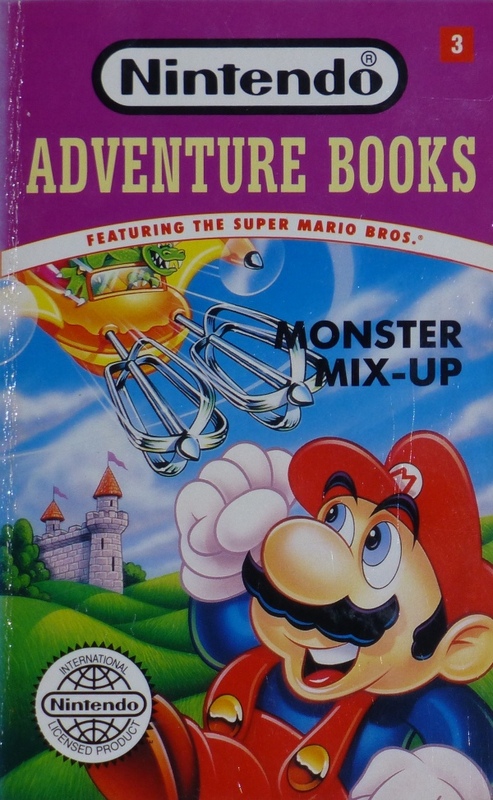 Little did we know at the time that Nintendo would eventually squeeze such gems as Link’s Awakening and Pokemon out of the monochrome marvel. 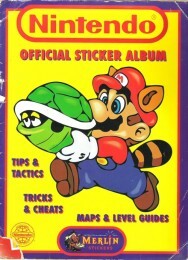 A foreword supposedly from the Mario Bros. themselves started the album off, with a collection of box art stickers on the opposite page. 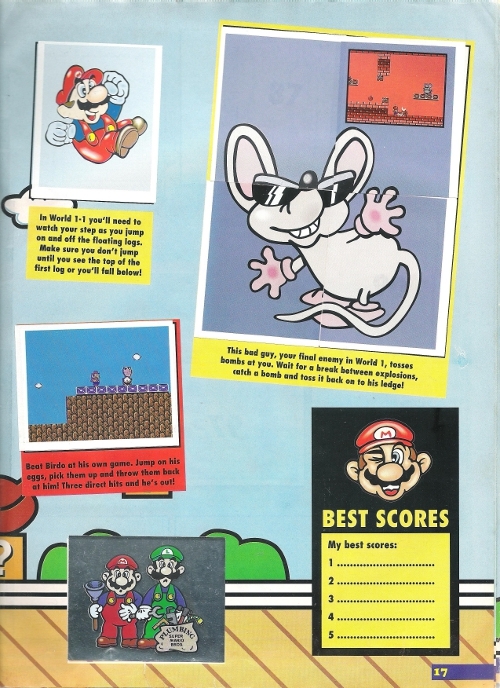 The three NES Mario games had several pages each, pointing out where the warp zones were and providing a few tips for beating the bosses. The tech press is getting in a right froth over smart watches. Honestly, don’t they remember the Game Watch? The calculator watch had been around since the 1970s, and a decade later the next step was the game watch. US company Nelsonic Industries was at the forefront of this exciting technological frontier. The games were basic, and they typically couldn’t be played on your wrist – but they were often licensed, which was clearly the selling point. Nintendo were remarkably keen to pimp out their properties, and in 1992 three of them made it over to Europe through Zeon. Of the three, Tetris is probably your best bet. This is probably the most addictive puzzle game ever, and one which adapts to on-wrist technology quite neatly. This version has been cut down a little from the original – the screen is only six blocks wide – but it plays just as well. Inevitably, Tetris was the one that I didn’t buy. Like all 11-year-olds, I was an idiot. So let’s have a look at the Super Mario Bros. 3 and Legend of Zelda tat I probably wasted a perfectly good Christmas present on. Last week’s chart was the busiest for a while. This week? Not so much, although a few of the titles that entered highly last week are on the fall already. Halo: Anniversary is one of these, which is surprising. It entered at #6 last week but has dropped to #21. Zelda: Skyward Sword is doing the opposite of going skyward too, down from #7 to #16. Super Mario 3D Land has managed to stay in the top 10 though – the portly plumber clings in at #10, even with two new arrivals – WWE ’12 at #6 and Professor Layton and the Spectre’s Call at #7. You can probably guess what game remains at #1. Lord of the Rings: War in the North makes #38 while Rayman Origins fails to make the top 40. Seeing GAME, HMV and Blockbuster were all asking £42.99 for it, it’s not surprising. This does mean though that nobody can use the phrase “Bored of the Rings” ever again. Kirby’s Adventure Wii hasn’t got off to a very good start either – it’s in at a lowly #25 in the Wii chart, beaten by the likes of ABBA: You Can Dance. It’s another good week for gamers. That’s providing you have healthy bank balance, at least – there are half a dozen big name titles out this week. The old-age question if whether Mario can blow stripy balloons up with his arse has finally been answered. As the image to the right shows, he can indeed. We can also tell you that Super Mario 3D Land has been worth the wait. Scores so far include an 8 from EDGE and a 9 from Eurogamer. NGamer said it’s trying a little too hard to be “all things to all people” – “too throwaway for the Galaxy crowd and too soft for the New Super Mario Bros. Wii lot”. They still gave it 90% though. And what’s this? Another big game from Nintendo? Amazingly, yes. The Legend of Zelda: Skyward Sword reinvents the franchise and then some. It doesn’t even feature Gannon as the last boss. We hope that doesn’t count as a spoiler. Praise has been universal, with a few even calling it the best Zelda yet. EDGE has given it a 10; NGamer handed out 98%. Mario & Sonic at the London 2012 Olympic Games is another that NGamer reviewed this month. They gave the Wii version 84% – “As far as party games go, this is gold standard”. The 3DS version isn’t due out until next year. Halo: Combat Evolved Anniversary is one that we’ve reviewed ourselves and very much enjoyed. Amazon are selling it for £27, as are Tesco. The last Need for Speed was heavily hyped as the developers behind Burnout were at the helm. 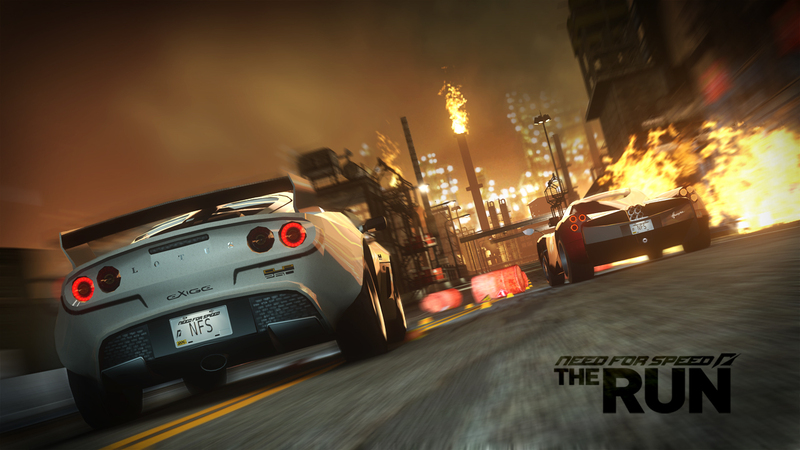 Need for Speed: The Run hasn’t had the same attention from the press. Games Radar gave it an 8 even though they found it a little short and to have some unfair difficulty spikes. On the flipside Eurogamer really didn’t like it very much, giving it a 5. The PlayStation 3 version contains vehicles not found in the Xbox 360 version, while the 3DS version should be worth a look – it’s from the guys behind Trackmania on Wii and DS, which were well received. Assassin’s Creed: Revelations doesn’t quite live up to its name it would seem. That’s to say, it isn’t a revelation. EDGE has given it a 7, as has Eurogamer, but there has been a few 8/10 scores. If you aren’t expecting anything more than more of the same, then you won’t be disappointed. Medieval Moves and Carnival Island are Sony’s newest PlayStation Move offerings. Carnival Island is a mini-game collection while Medieval Moves is by the Sports Champions developers and is a first person adventure. Both are £14.99 on Play. Activision are unleashing four games onto the public as well – the Xbox 360-exclusive Rapala Kinect Fishing, Cabela’s Adventure Camp (for the kids), Cabela’s Survival: Shadows of Katmai (for the adults) and DreamWorks Super Star Kartz (for people who really can’t wait until Mario Kart 7). All of these are budget games – the two Cabela titles can be found for £25 online while Super Star Kartz is a mere £14.99 on Play. Play says that Rapala Kinect Fishing comes with a rod, but Amazon doesn’t mention this. There’s a chance Play are mistaken. While those games above may be of questionable quality we least we can count on LEGO Harry Potter: Years 5-7 being good. It’s out on just about everything – PlayStation 3, Xbox 360, PSP, Wii, DS, 3DS and PC. Lastly, THQ are releasing their uDraw tablet on Xbox 360 and PlayStation 3. It comes with Instant Artist and two other games are being launched alongside it – Marvel Super Hero Squad Comic Combat and Pictionary Ultimate Edition. Marvel Super Hero Squad Comic Combat is also out on Wii this week, as is the uDraw compatible Disney Princess Enchanting Storybooks, much to the delight of pre-teen girls everywhere. Next week: Rayman Origins (360, PS3, Wii), Winter Stars (PS3, 360, Wii), WWE ’12 (PS3, 360, Wii), Zumba Fitness 2 (Wii), The Lord of the Rings: War in the North (PS3, 360, PC), F1 2011 (3DS), King of Fighters XIII (PS3, 360), Professor Layton and the Spectre’s Call (DS), Move Fitness (PS3), ABBA: You Can Dance (Wii), Ben 10 Galactic Racing (PS3, 360, Wii, DS), Cooking Mama 4 (3DS), Cooking Mama World: Outdoor Adventures (DS), Dino Strike (Wii), Happy Feet Two (PS3, 360, Wii, DS, 3DS), Horrid Henry: The Good, The Bad and The Bugly (3DS), Imagine Fashion Designer (3DS), James Noir’s Hollywood Crimes (3DS), Mahjong 3DS: Warriors of the Emperor (3DS), Now! That’s What I Call Music: Dance and Sing (Wii), Sonic Generations (3DS) and Tales of the Abyss (3DS). Sonic once had an affair with Mrs. Tiggy-Winkle. Amy found out but never let on for the want of living a quiet life. 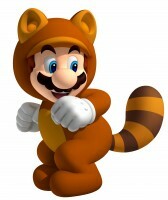 Conker’s Bad Fur Day was Luigi in a squirrel costume. It was the only job he could find at the time and he didn’t want to ruin his clean image. Hitman’s Agent 47 shaves his head because he’s a ginger. Mario and Luigi only see each other when starring in a game together. Luigi never texts Mario back; his phone is always left to ring until the answerphone kicks in. Bubsy the Bobcat is on the last of his nine lives. He now spends his days as a recluse; a quivering wreck in house where everything with sharp corners has been coated in bubble wrap. Alex Kidd and Wonder Boy are the same person. Alex enjoyed the breeze a loin-cloth brings so much that he continues to wear it until this day. He let the hair dye grow out naturally. Princess Peach may look good with her make-up on but without she has got a face that would make an onion cry. Link has been arrested for burglary 37 times but when appearing in court he always turns up as child Link so the judge goes easy on him. He later parties hard as adult Link. Bowser once dangled Bowser Jnr over a balcony. “He wanted to see the crowd,” he said. The tabloids had a field day. Dennis the Menace’s dog was stolen by a homeless man while he popped into Greggs for a steak-bake.